Hey everyone, a while back I started wondering just how often certain molds have been reused in the Hasbro iteration of the line. However, since I only got into the ML line in the last few years, I didn't have a fantastic knowledge of what's come in years past, so it wasn't easy for me to discern, since photos can't show things off the way that hands-on time can. But I gave it a shot anyway, being as meticulous as I could with researching the figures that I didn't actually own. So I've cobbled together a partial list. It's by no means complete, and doesn't go over a lot of the older Hasbro molds (the first one I started looking up was Bucky Cap, and that was a 2012 mold), nor does it include any I was overly unsure of. So if anyone would like to comment and contribute, please do. I'll mention you in the revised initial post. NOTE 1: Some of these I wasn't 100% sure of, but thought I had a good idea about, so if anyone else can help clarify, please do. Those ones will be denoted with a question mark next to them. NOTE 2: This will also include revealed upcoming releases, and will be edited as more are shown in full. NOTE 3: I haven't included any Toy Biz molds, because it's much harder to track mold reuse across them, but if anyone would like to contribute there, feel free. So, without further ado, the list! Molds are currently IDed by their first use (with common shorthand name in parentheses, where applicable). I thought the Iron Man Mark 46 is a new mold, isn't it? Looking at the comparison with the 43, they don't look very similar. 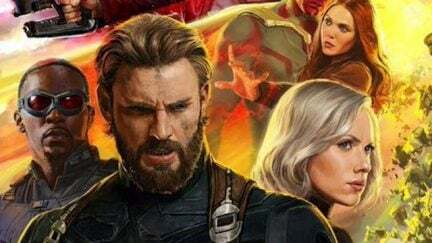 Speaking of the MCU Captain America mold, methinks we're getting it AGAIN for the upcoming Infinity War wave, just repainted and with a new headsculpt. The Drax from the Return of the Marvel Legends was reused to be Ultimate Cap (he had new wrists and boots) and it was also used for Agent Venom (they just added armor over the body). I believe the TRU exclusive Magneto was on the mold too. Yeah, some of these are definitely wrong. First off, half the listed uses of the Iron Man Mark 42 mold aren't that mold. 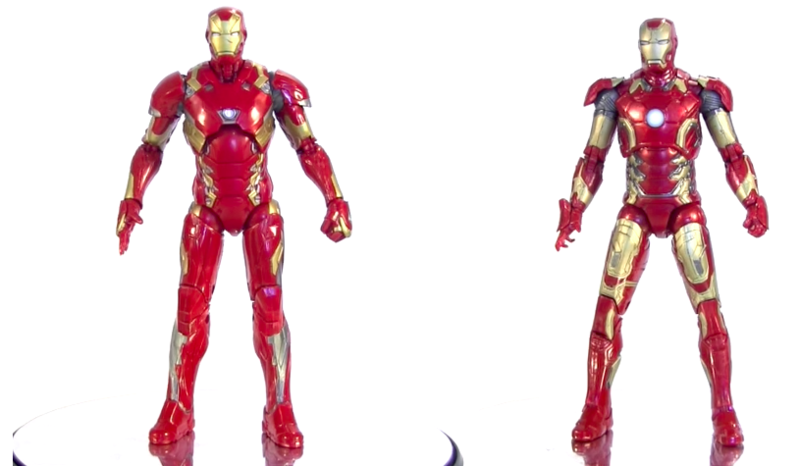 The Avengers Movie Iron Man was a repainted version of the Mark 6 from the Iron Man 2 line, the Marvel NOW! 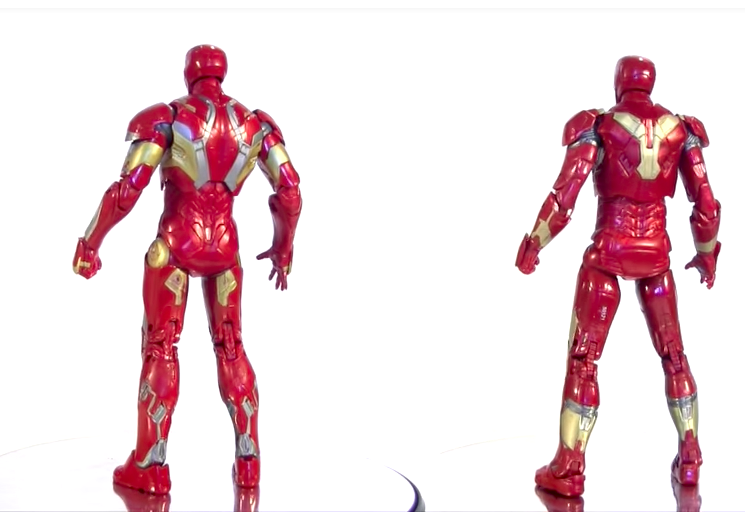 Iron Man is a repaint of the Mark 4 from the Iron Man 2 line (basically same figure as the Mark 6, but with a different upper torso). The Iron Man Mark 46 (regular and battle-damaged) and Mark 47 are their own separate mold, and the Mark 27 Disco is a reuse of the Iron Man 3 Iron Patriot/Age of Ultron War Machine. Plus, the War Machine in the Civil War 2-pack was an entirely new mold. Plus, Spider-UK, as well as Captain Universe Spider-Man, are their own entirely separate mold from the Grim Reaper mold. In addition, Wonder-Man was on the Grim Reaper mold, not the Hyperion mold. I think Deathlok is on the Spider-UK mold, but I'm not entirely sure. Finally, Darkhawk was on the Bucky Cap mold. There might have been a couple other errors, but this is what I caught. Thanks for the help, guys! Yeah, the Iron Man armors took a second pass for me to recognize the differences... ugh. Tony's just got too damn many armors! I definitely understand, but having looked at him myself, I think Darkhawk is just the Bucky Cap body with a new upper torso and arms, but with the feet from ANAD Spidey 2099. It's definitely looking much improved. I can't currently see any changes that need to be made. I knew there would be a lot of Bucky Cap reuses, but that blows my mind when seeing it listed like that. Thanks heaps for doing so, OP. There is no Dormammu mold. The is no Absorbing Man mold. Last edited by ieyke; 02-18-2018 at 12:54 PM..
Aren't Doctor Strange and Dreadknight etc the same torso with different arms? The upcoming Skullbuster's arms and legs (and weapon) are repainted Deathlok (Sasquatch wave) bits. BAF APocalypse uses the hands...or rather reuses. Not sure, but Sauron looks a bit like the movie Lizard figure from Hasblow.